Gaming monitors are different from the normal monitors. Though ordinary TV monitors can be used to play games, gaming monitors are the ones that can give you a better gaming experience. In particular, the console gaming monitors are turning out to be a better option for the gaming consoles like PS4 and Xbox One. The market is flooded with various gaming monitors for PS4 and Xbox One. It comes in various models with versatile features and specifications. In this article, we have taken every effort to narrow down your selection by reviewing some of the seven best monitors for PS4 and Xbox One. 1 - Resolution: This is probably the first thing you should look for, before selecting a gaming monitor. The suggested resolution is about 1920x1080 for a better image quality. It is not required for you to buy a higher resolution than this for the PS4 and Xbox One games. 2 - Screen Size: The recommended screen size for gaming monitors is anything above 22 inches. This makes sure that you have convenient game sessions. But you have to keep in mind the viewing distance as well. If you are going to place the monitor on a desk and sit right in from of it then a 24 inch monitor is ideal. If are going to play from the couch while the monitor sit one the other end of the room, then a larger size such as 27 inch is preferable. 3 - Refresh Rate: As we deal with PS4 and Xbox One games, a lower refresh rate will work fine because the max FPS you will get is 60 . That is why you don't need to spend more by opting for the high refresh rate gaming monitors that cost more as well. A 60hz monitor will work just fine for consoles. 4 - Response Time: It is always good to go for the gaming monitors with lower response times. The value depends on the panel type of the monitor. For TN panel, the preferred response time is 1 ms and for IPS panels, it can be around 5ms. The good news is that to these days, you can easily afford a monitor with lower response times. Now that you know about all the things that you need to keep in mind when shopping for a console monitor, it’s time for you to look at the reviews. We have reviewed the seven best monitors for Xbox One and PS4 in the following section. 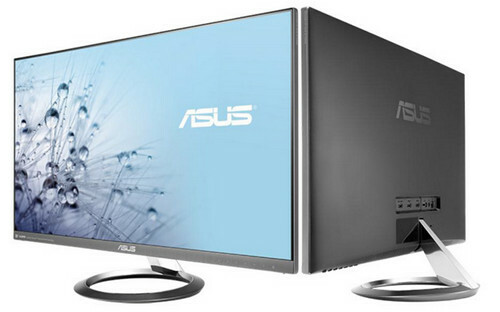 The ASUS 24-inch gaming console monitor features a 1ms response time with 75 Hz refresh rate that is over clockable. It comes with two HDMI ports that have low input lag. This allows you to connect up to two devices at the same time with this gaming monitor. The low input lag is possible with the “Game Fast Input” technology from Asus. The AMD FreeSync Technology removes any screen tears or wears. It also avoids the choppy frame rates to give you an exclusive visual and gameplays. The GamePlus hotkey which is exclusively designed for ASUS gives you the enhancements needed for successful gaming sessions. And then there is GameVisual technology that allows you to optimize the visuals based on the content with the six preset display modes. The Flicker-free technology protects your eyes from possible fatigues with its smart dynamic backlight adjustment system. There is also four different blue light filter settings that you can adjust accordingly. This monitor does its best to keep your gaming area look tidy with the smart cable management on the monitor stand that helps hiding the running cables. This console monitor has various beneficial features as you just saw. It comes in the right size with the appropriate response time and refresh rate. It also incorporates some of the latest technologies to give you a smooth and safe gameplays, making it one of the best gaming monitors for PS4 and Xbox One. The R240HY gaming monitor from Acer is developed for a variety of purposes which also includes gaming. It has a bigger screen that's good for both gaming and other multimedia entertainment needs. The monitor has a sleek, zero frame design making it a great choice for an amazing visual treat. It comes with a -5 to 15 degree tilted angle and on top of that it has an IPS panel. This will give you a convenient viewing angles of upto 170 degree. Also the IPS gives you a superior color performance at any given angle. Also, the appropriate placement of the OSD button below the bezel gives you a better control over the panel settings. You can connect your smartphone or tablet with the monitor with the ports provided. By doing so, you can enjoy your media on a large-sized screen. The “TrueHarmony” feature of the monitor takes your entertainment to a different level. It gives you a lifelike audio experience. The ultimate contrast ratio brings you a detailed image viewing. Along with full HD resolution, you will have a good quality of visuals. This Acer monitor is designed for meeting multiple requirements such as multimedia, audio and gaming. As it has the capability to provide immersive graphics, it will prove helpful in your gaming sessions. With all those astonishing features, you can never go wrong with this monitor. The AOC i2481FXH monitor will attract you for its sleek design. The monitor has a great dynamic contrast ratio of 50,000,000:1. This will make the darker areas in games to appear well. You will have greater details of those areas so that you can have a better gaming experience. It has the resolution of 1920x1080 full HD with IPS panel for the ultimate viewing angles. With the Kensington Security Slot, the monitor provides you with the anti-theft system. By this anti-theft feature, you can safely protect the monitor through the compatible locking cable kit. 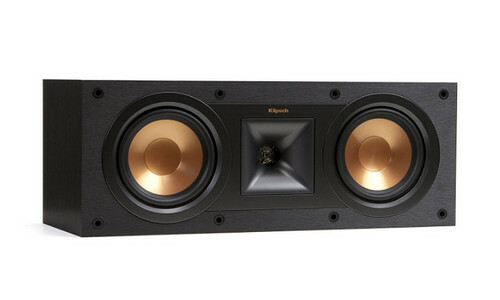 This makes the monitor an ideal choice to be used for both the office and home settings. An additional good news is that you need not worry about leaving any fingerprints or smudges on the screen as it comes with an anti-glare coating. The two HDMI ports will enable you to connect two devices at a time. It also features a VGA connectivity. It consumes less power which is obvious through its energy star certification. 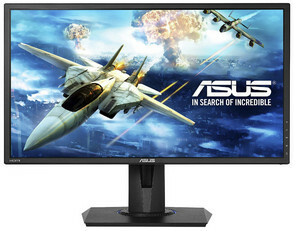 This gaming monitor is the perfect choice for those of you looking for a reliable product. It has more than what you need from a console gaming monitor. With the anti-theft system and energy efficient working, what more you can ask for. This gaming monitor is a new release from LG with an awesome design. 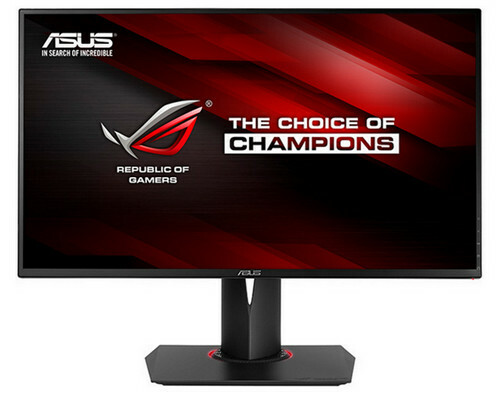 It has a refresh rate of 60Hz and comes with a response time of 5ms which is standard for IPS gaming panels. The screen measures 24 inches, making it suitable for console gaming. The monitor’s stand will enable you to adjust the screen for your convenient viewing angle. With just 2.5mm bezel, this monitor competing with other thin bezel monitors out there. 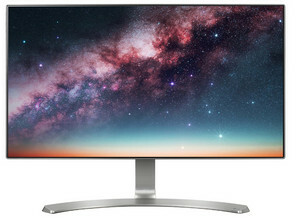 The styling of this monitor is very unique and not copied from other brands and it will surely look amazing on anywhere you put it. One thing that stand out the most is the stand which is called the ArcLine design from LG's premium monitor lineup. This monitor has black stabilizer feature which is very useful for gamers. This feature brightens the darkest scenarios so that you don't get killed after entering a dark room and not seeing the enemies. The Dynamic Action Sync helps in minimizing the input lags. This paves way for you to catch even the minute details in your gameplays. This monitor has all the essential features of a console gaming monitor. With different gaming modes, black stabilizer, clear motion 240, it will deliver an unparalleled gaming experience. To conclude, this LG console gaming monitor will satisfy all your gaming needs. 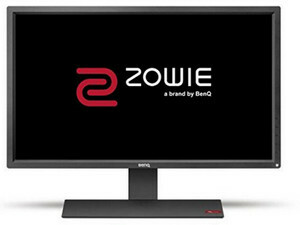 The BenQ’s gaming monitor has a good number of features which you will appreciate a lot. It comes with the professional-style design and specifications. It has the capability to deliver a lag-free motion with its ultra-fast response time. Every movement is captured in real time. It is a well-known fact that each game has its own settings. This gaming monitor understands this well. Hence it comes with numerous settings like the FPS mode, FTG mode, etc. You can shift to the desired game mode with the touch of a hotkey provided. For the improved visibility, this monitor uses the black equalizer feature. It cleverly highlights the dark scenes without overexposing the brighter areas. The zero flicker technology does its best to reduce eye strains and fatigue so that you can enjoy long hours of game sessions. The monitor features the LCD frame that is specially designed for reducing light reflection. You can keep your concentration on the games without being diverted due to the reflections. This gaming monitor from BenQ comes with the design of professional standards. Hence you can be assured of successful game plays with this console gaming monitor. 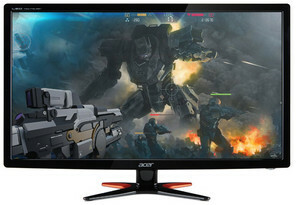 This gaming monitor from Acer comes with a 3D full HD screen. It is very slim in design with the X-shaped stand. You can fit it well in any area of your choice. The resolution of 1920x1080 gives you a sharp image quality. The screen itself is wide enough to give you a better view. The monitor is ideally designed for various purposes such as game, video streaming, etc. It comes with an amazing refresh rate, hence you will almost forget about the motion blurs. The quick response of the monitor helps with a smooth transition of the moving visuals. It has a good contrast ratio giving you with the best viewing of bright and dark images with clarity. An immersive 3D imagery is possible with the NVIDIA 3D light boost technology. Adding to this, the advanced active shutter 3D technology paves way for a better 3D experience for home entertainment. The monitor is designed with mercury-free white LED backlight. It saves about 68% of the power and hence paves way for a safer environment. 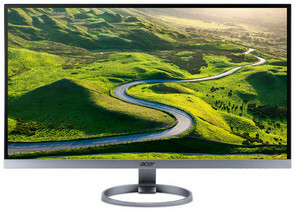 This monitor from Acer does give you added advantages. Other than games, you can use it for multimedia and productivity too. It uses some of the best 3D technologies for a better experience. It is also energy efficient, hence buying this product will fetch you more benefits. 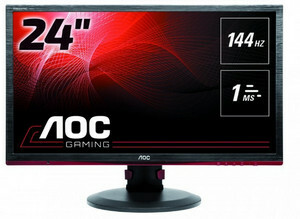 This gaming monitor from AOC is known for its brilliant image quality. It gives a lag-free game plays with its high-performing refresh rate. A higher refresh rate helps you to target your enemies easily in your games. A sharp graphics delivery is possible with the quick response time. It also gives a good view of fast moving images without any smears or ghosts. The AMD FreeSync technology avoids any tears or breaks in the images. It does this by synchronizing the GPU and the monitor in conjunction to one another. 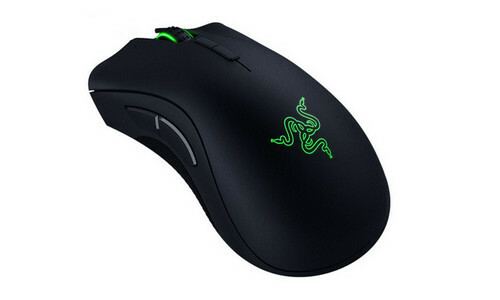 By doing so, it avoids any lag or stutter from the other devices like the mouse. It comes with numerous ports for you to connect your smart devices. These include the VGA port, HDMI-MHL port, USB ports, etc. One of the USB port serves as the charging port. Using HDMI-MHL, you can stream the media from your mobile device to the screen. The flicker-free technology provides a good viewing without any discomforts to your eyes. It uses the direct current backlight system to achieve this. 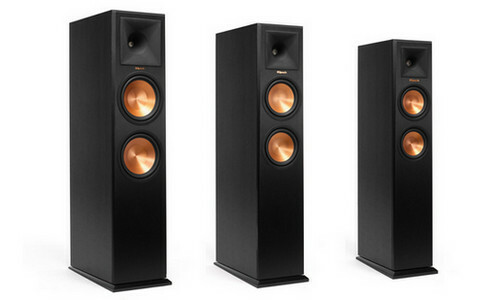 In order to address your needs, it comes with two in-built speakers and an audio jack. 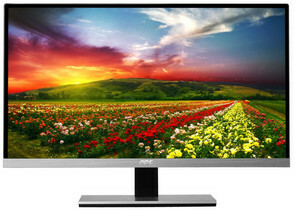 As you saw, this monitor from AOC is packed with various features. It provides a better image quality with its amazing resolution, response time and refresh rates. It comes with a good number of ports too. If you plan to use multiple devices along with the gaming monitor, this is the one you should consider. If you are an avid gamer, investing in a console gaming monitor is a smart idea. Unlike the PC gaming monitors, the console monitors do not demand higher frame rates. This means that these gaming monitors do not involve much of your expenses. All the products discussed here are some of the best console monitors with rave feedbacks from their customers and they can be used for the all new PS4 Pro and Xbox One S as well. So, we are confident that one or the other product discussed here will satisfy your demands. As you have also learned the key features to note before making a selection, it will be easy for you to reach the right product of your choice.